Three weeks ago, Andreas Mikkelsen was announced as Hyundai Motorsport’s reinforcement for the second part of the 2017 World Rally Championship season.Today, the German-Korean team announces that the Norwegian rally star will stay with the team in 2018 and 2019. 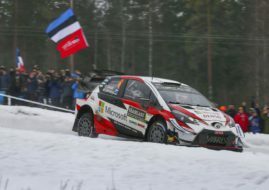 Mikkelsen will pair up with his co-driver Anders Jaeger to compete in all rounds of the 13-event calendar next year. 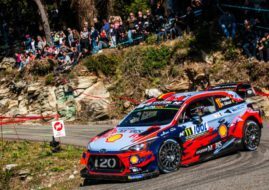 All three existing crews Thierry Neuville/Nicolas Gilsoul, Dani Sordo/Marc Marti and Hayden Paddon/Seb Marshall will remain under contract for 2018. “I am delighted that Hyundai Motorsport has offered me the chance to return to the WRC ‘properly’ with a full-time seat for 2018 and 2019. Even before my first rally with the team, I feel that I have settled in quickly. It is clear to me that I am joining a world-class team with realistic chances of fighting for both Drivers’ and Manufacturers’ Championships. 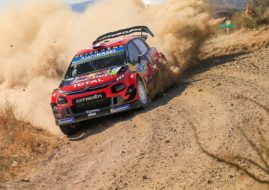 I look forward to helping achieve these goals from Rallye Monte-Carlo next year, and making my own presence felt in the drivers’ title,” said Mikkelsen. “Andreas is one of those rally drivers who fits in quickly and just gets straight down to business. From the few times he has already been to visit the factory in Alzenau, his determination and professionalism have shone through. We are pleased to have him on board in a full-time capacity for two seasons,” said Hyundai Team Principal Michel Nandan.